The fitness club in Tbilisi insists that the sign posted is a "recommendation" after several "incidents." 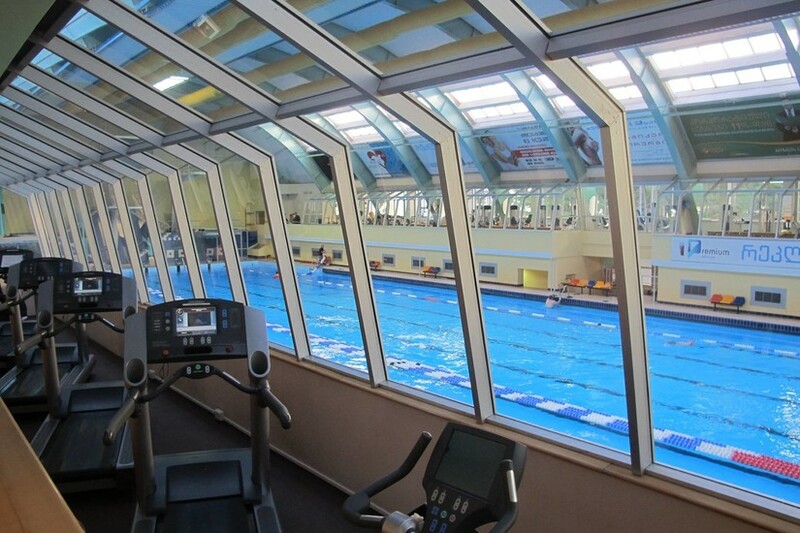 Vake Swimming and Fitness Club is one of the most expensive clubs in Georgia's capital, Tbilisi. But it's being criticized now for a sign suggesting menstruating women forgo taking a dip. Sophie Tabatadze, a new member of the club, spotted this sign on Tuesday during her second visit and was shocked to learn about the restrictions the facility has regarding swimming while on your period. "Do you even realize how offensive this is?" Tabatadze wrote in her public post showing the sign. "And, by the way, since according to your rules we are not allowed to use a swimming pool 5-6 days each month, do we get a preferential price compared with men?" She also immediately posted on the club's Facebook page saying that she "did not expect such an openly misogynistic message from you." "Our statement is not sexist and has a preventive objective," the club responded. "We had a case, when the water was contaminated due to which the we had suffered damage. We try to follow norms of hygiene and we ask our members to do the same." Vake gave a similar statement when reached by BuzzFeed News, saying that the policy is a "recommendation" that has been in place for several years. "We have had some incidents about this where, I'm sorry that I have to mention, I have found tampons on the surface of the pool," a staffer named Natia told BuzzFeed News. "So it's not about only using tampons, ladies can use tampons while swimming," she continued, saying that it cost the club a lot of money to change the pool's water after those cases. "So it's for the ladies themselves and for the others who are swimming." There's actually nothing unhygienic about swimming while menstruating though, so long as you wear a tampon or menstrual cup — not a pad. And so Tabatadze hopes the sign will be taken down. "My goal is not to shame them for the sake of shaming," she told BuzzFeed News. "Overall misogyny is so widespread in this culture that sometimes companies/people make mistakes unconsciously. The real test is how they respond when they are exposed." This post has been updated to include more forms of sanitary products.